Pic It turns out King Joffrey isn't the biggest scumbag at HBO after all. 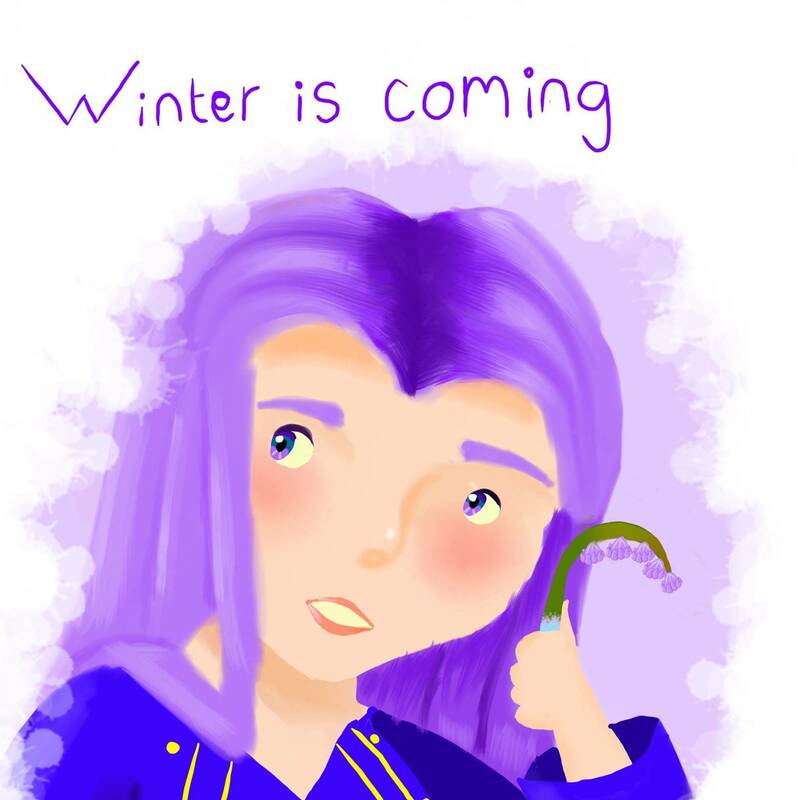 A father says lawyers at the cable TV network demanded his 13-year-old daughter's artwork be taken off the internet after she drew a lovely picture titled "winter is coming" and posted the image to arts'n'craft website RedBubble. "My daughter, who happens to be autistic, was doing an art challenge called Huevember which consisted of doing a piece of art based on a different colour as you worked your way round a colour wheel," Jonathan Wilcox, of Edwinstowe in the UK, told The Register on Thursday. "She was uploading her pictures to a variety of sites and sharing them on Facebook. For this particular piece, she decided to title it 'winter is coming.' I do not believe she uploaded the picture to RedBubble to make any particular financial gain, she just thought it a sensible place to put it." According to HBO's legal team, the above illustration infringes the entertainment giant's intellectual property from its hit TV show Game of Thrones: HBO owns US trademarks on a line repeatedly used in the series, "winter is coming." The telly network and streaming-video goliath worries that letting a child's artwork bear those three words will cause irreparable harm to its brand, and so it sent Redbubble an ultimatum to strike the image. Wilcox says Redbubble obeyed the demand and forwarded a copy of the takedown notice. At first, he was stunned into disbelief considering that his daughter's artwork makes no reference at all to HBO nor Game of Thrones, and it was not being sold or marketed. "My first reaction to the letter was 'FFS.' HBO should get a life or stick something where the sun doesn't shine," Wilcox said. "On further investigation, it appears HBO are doing this all over the place regarding this phrase. It seems to have upset a lot of people on Etsy and elsewhere who have had the same or similar letter." If you would like to send a counter notice please email the required information above to dmca@redbubble.com. Please note that in some circumstances, if the work does not comply with our User Agreement and/or IP/Publicity Rights Policy, we may not be able to send your counter notice on to the party who has claimed ownership or licensee status over the intellectual property at issue. Rather, we may inform you at the time of receipt that we cannot reinstate the work. We may also request further information from you in order to determine whether the work can be reinstated. However, you should be aware that in some circumstances we will inform the above mentioned third party that you have provided a counter notice, as well as provide this party with a copy of your counter notice, which will include your personal contact information. This party will have 14 days to bring legal action against you in the United States. After 14 days, if they do not bring legal action and you would like your content restored to the Redbubble site, you may contact us to request that we reinstate your work. Redbubble may restore the content at that time if it otherwise complies with our User Agreement and IP/Publicity Rights Policy. It is not exactly clear which law HBO invoked to demand the takedown: Redbubble, which is headquartered in Australia and has a US office in San Francisco, says it respects "several international treaties that relate to intellectual property." It's likely HBO asserted its trademark as you cannot, in America anyway, copyright a short phrase like "winter is coming." Wilcox suggests that any other parent subjected to HBO's unique form of art criticism respond by simply turning the channel off. "Get on with your life," he said, "and boycott any HBO production, as they go around picking on and upsetting disabled children who have acted in total innocence." We asked HBO to explain itself. A spokesperson was not available for immediate comment. HBO's trademark covers clothing, mugs, drinking glasses, hats, bags, mouse pads and similar tat. Redbubble is an online community of artists and a bazaar of t-shirts and bags printed on demand from artwork submitted by its users. Even though the Wilcoxs had no plans to sell their child's work, its presence on Redbubble appears to have been enough to trigger HBO's legal machine.